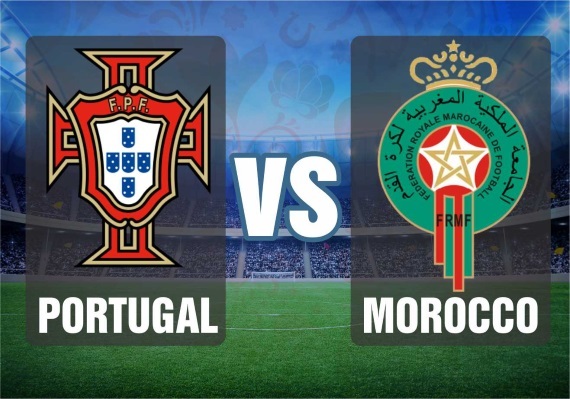 Cristiano Ronaldo will be looking to continue his impressive scoring form when his Portugal go head to head with Morocco on Wednesday afternoon. Portugal played to a thrill-packed 3-3 draw against Spain on Friday evening with the main man, captain Cristiano Ronaldo netting a hat-trick. This is a golden opportunity for the European champions to collect maximum points and take their tally to four which would pretty much seal Last 16 qualification. They looked very dangerous on transitional play against the Spaniards and if they were sharper in front of goal where Goncalo Guedes was disappointing, they would have easily won the match. It will be interesting to see how they approach the match against a lesser opponent where they have to attack. I’m expecting captain Ronaldo to look for more goals to win the Golden Boot award as he currently tops the scorers’ charts with the likes of Romelu Lukaku, Diego Costa and Harry Kane hot on his heels. Youngster, Bernardo Silva might have had an average game but we know what he is capable of and on his day, he can trouble any team. Defensively, Pepe has been solid, minus being bullied by Diego Costa on the dubius goal they conceded in the first half, however, Jose Fonte showed some signs of ageing and he is their weakest link. Having experienced players like Joao Mario and Ricardo Quaresma on the bench is a big plus for Fernando Santos’ men. After qualifying for the World Cup for the first time since 1998 under the tutelage of Herve Renard who has won the Africa Cup of Nations with both Ivory Coast and Zambia in recent years, most expected Morocco to easily beat Iran but they got more than what they had bargained for when they lost 1-0, courtesy of an Aziz Bouhaddouz stoppage time own goal. This will be an even tougher test against the European champions who know how to conquer even stronger opponents and I think they would be happy with even a draw. The Lions of the Atlas will also have the upcoming match against Spain on the back of their minds. Patricio; Cedric, Pepe, Fonte, Guerreiro; W.Carvalho, Moutinho; Fernandes, B.Silva, Guedes; Ronaldo. Munir; Amrabat, Benatia, Saïss, Achraf; El Ahmadi; Belhanda, Harit, Boussoufa, Ziyech; El Kaabi. I won’t look past predicting the European champions for victory here. They managed to hold their own against Spain while their opponents came unstuck against Iran. If you have Ronaldo in your team you are almost guaranteed a goal or two in every match. The Real Madrid star is now only the fourth player to score in four different editions of the global showpiece, joining the likes of Uwe Seeler, Pele and Miroslav Klose, while also matching Asamoah Gyan's record of netting in nine successive major tournaments.